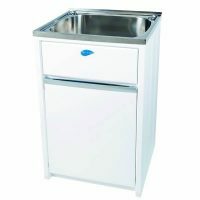 If you’re in need of a practical and affordable laundry cabinet and sink combo, then Everhard’s Classic 30SS Laundry Cabinet & Sink is just what you are looking for. This is a low maintenance combo with no added frills. It is available in an elegant white finish that looks pleasing to the eye in any laundry. 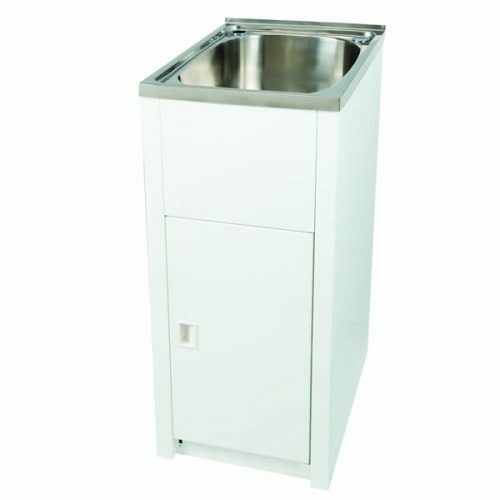 The Classic 30SS Laundry Cabinet & Sink measures 397x570x870mm and is equipped with a large 30 litre stainless steel sink. It is powder coated with DuPont Coating which offers excellent protection from rust. 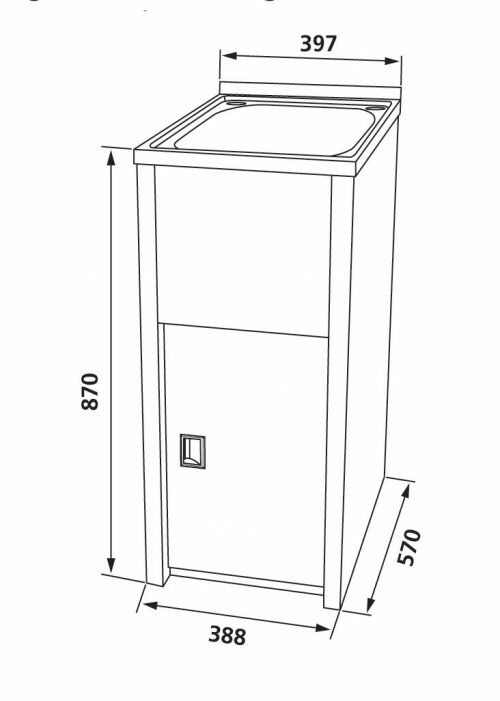 Featuring a single bypass assembly, the Classic 30SS Laundry Cabinet & Sink also includes a plug and waste. 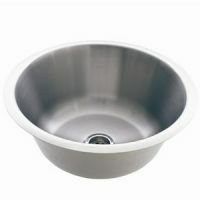 It is designed for easy installation and is ready to be fitted to your washing machine. 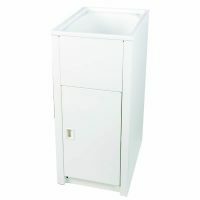 The Classic 30SS Laundry Cabinet & Sink is a quality product that stands tall above other laundry combos in the market. Everhard backs this product with some impressive manufacturer’s warranties, including a 1-year warranty on the hinges, waste, plug and rods and a 25-year warranty on the stainless steel bowl and the metal cabinet. Ross’s Discount Home Centre currently features the Classic 30SS Laundry Cabinet & Sink at an incredible bargain. No wonder this product is in heavy demand. Don’t delay – get hold of this high quality cabinet and make your laundry chores less demanding. 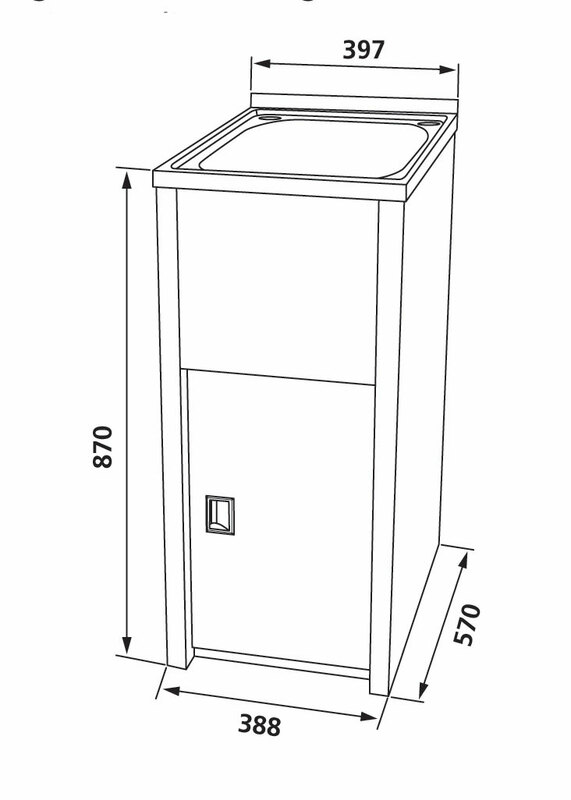 Powder coated steel cabinet with Dupont® Coating for extra protection.